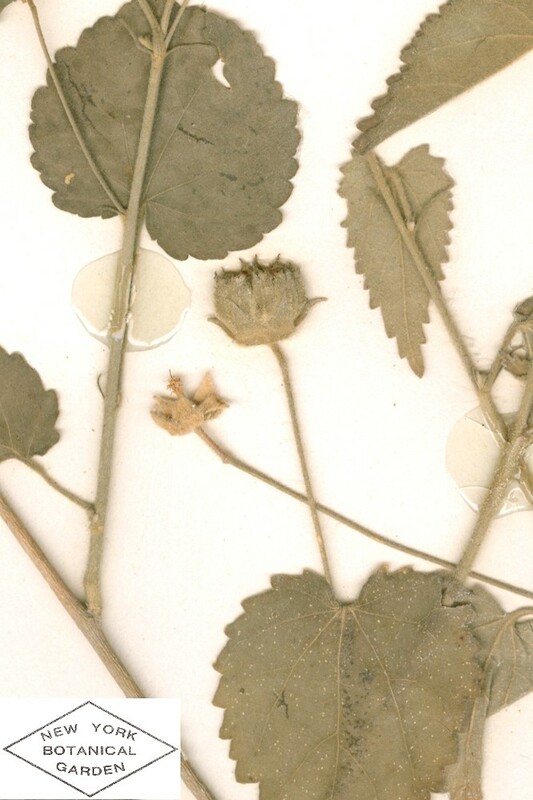 South American false velvetleaf is native to Paraguay, and has appeared in North America only in the waste site of a nineteenth-century wool carding factory in Massachusetts, where it probably arrived on imported fleece. 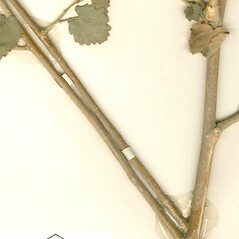 gynoecium with mostly 10–15 carpels, the mature ones terminated by a slender beak 3–6 mm long and with 3–9 seeds, and leaf blades mostly 10–15 cm long, broad-ovate to orbicular (vs. P. stuckertii, with the gynoecium with 6–8 carpels, the mature ones terminated by a slender apiculus mostly 0.5–1 mm long and with 3 seeds, and leaf blades 3–7 cm long, ovate). 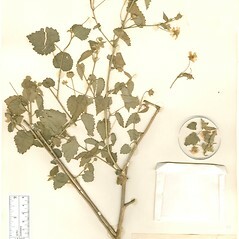 Pseudabutilon pedunculatum (R.E. Fries) Krapov. 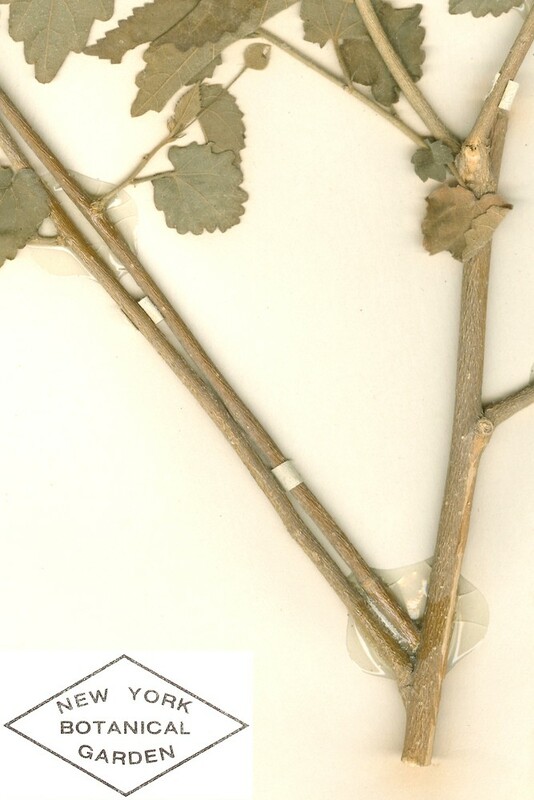 Wissadula callimorpha (Hochr.) Hassl. var. friesii Hassl. 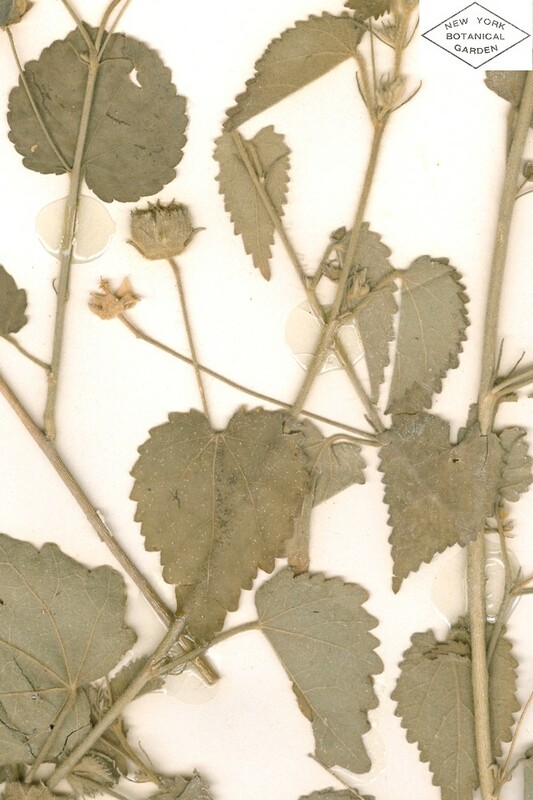 South American false velvetleaf. 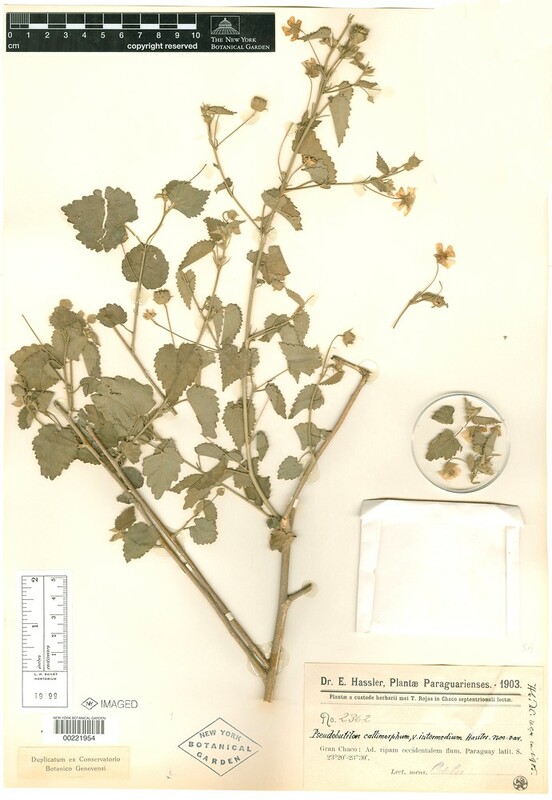 Pseudabutilon callimorphum (Hochr.) R.E. Fries var. friesii (Hassl.) R.E. 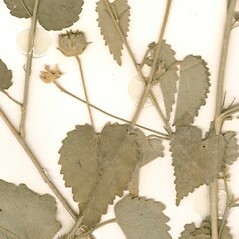 Fries; P. pedunculatum (R.E. Fries) Krapov. ; Sida callimorpha Hochr. ; Wissadula callimorpha (Hochr.) Hassl. var. friesii Hassl. 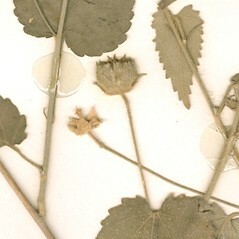 ; W. pedunculata R.E. Fries • MA. Wool waste.